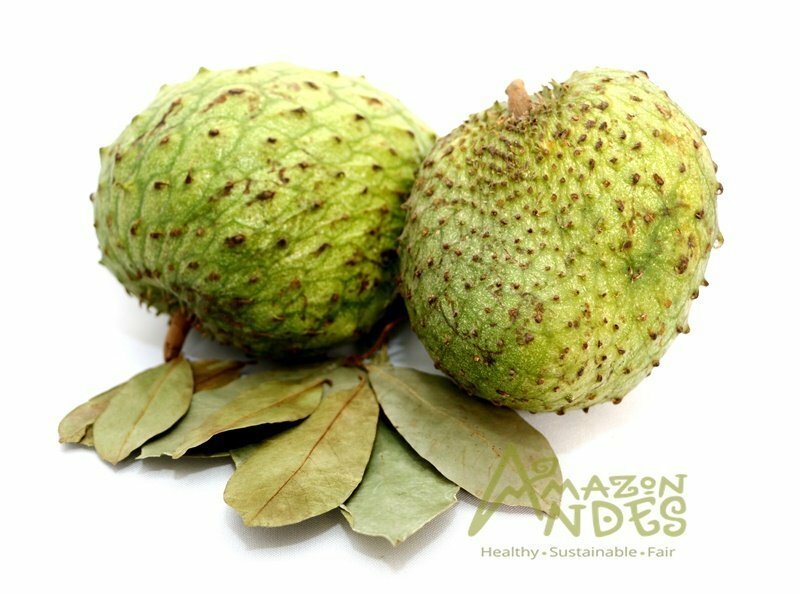 Graviola also known as guanabana or soursop (Annona muricata) it grows between 0 – 1000msnm and it has been cultivated since pre-Hispanic times. We found representations of ceramic fruit in the Chimu culture and itt was first described by the Spanish historian Gonzalo Fernandez de Oviedo y Valdes in 1526 and was extended worldwide by Spanish explorers. The guanabana fruit is grown commercially throughout tropical America and it is native to the tropical South American plant. All parts of the guanabana tree are used in natural medicine in the tropics, including the bark, leaves, roots, fruit, and fruit seeds. Different properties and uses are attributed to the different parts of the graviola tree. The quality of our products reflect the complete organic process of our guanabana; beginning with our growers in the amazon zone(Pucallpa in Peru). 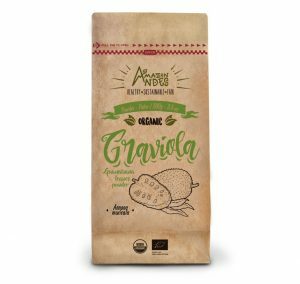 The traditional use of graviola is recorded globally in places including Barbados, Borneo (Kalimantan, Indonesia), Brazil, Cook Islands, Curacao, Dominica, Guatemala, Guam, Guyana, Haiti, Jamaica, Madagascar, Malaysia traditional, Peru, Suriname, Togo, West Indies, and the Amazon medical records..
Use caution in people with hypotension. Contraindicated for people taking anti-hypertensive. Check with your doctor before taking graviola or any product by checking your blood pressure, in order to adjust the dose to suit your needs. Products derived from extracts of graviola may cause some sedation or drowsiness. Avoid use by pregnant women. It could cause complications. Prolonged use may lead to the elimination of beneficial bacteria in the digestive tract. 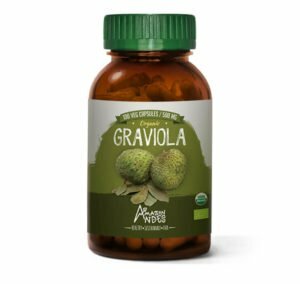 Administered in very large quantities, graviola based medications can cause nausea or vomiting. Traditionally graviola leaves are consumed in decoction or plasters, for various diseases since ancient times people consume 3-4 cups a day of infusion of the leaves. Is recommended 3- 5 grams per day divide the powder into 3 or 4 doses in a normal infusion, or tincture (2 to 4 ml, 3 times per day), for Capsules you are are recommended to consume 6 capsules a day divided into three doses and tablets 5 times a day. 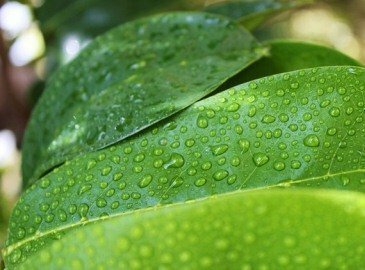 The graviola leaves has different presentations according to their different processes, but has proven effective in each use.